Inquiries invited on this Premiere breeding. 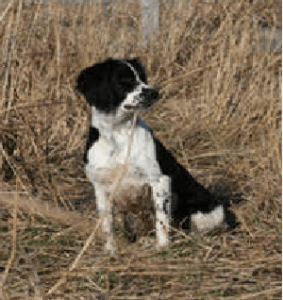 This repeat of Sam to Icky produced exceptional dogs in the first breeding. “Birdy”, biddable, sensible, sturdy & good looking was the norm. 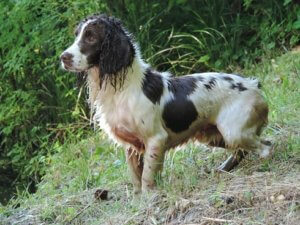 Our dogs work a variety of game and both dogs are proven in the only arena that matters; Spaniel field trials. Upon arriving from the U.K., Sam made a quick transition stateside and began winning in his first season; topping it off with the National Championship. 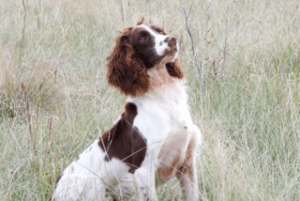 He is described by owner/handler Jeff Miller as powerful and intense.